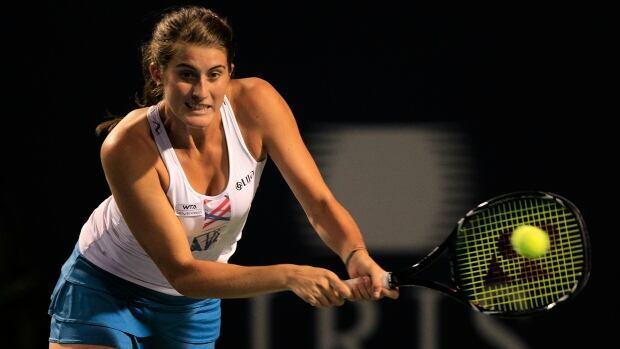 Canada’s Rebecca Marino failed to qualify for the main draw at the Rogers Cup after losing her second match of the qualifying event on Sunday. The Vancouver native, ranked 310th in the world, lost 7-5, 6-4, to 53rd-ranked Qiang Wang of China at the women's tournament in Montreal. The 27-year-old, who returned to competitive play this season after a five-year absence, had her serve broken once in each set and never managed to break Wang back. With Marino serving and the score tied 5-5 in the first set, the Canadian sent her forehand into the net for the break before dropping the deciding game. Down 5-4 in the second set, and with Wang serving for the victory, Marino gave the home crown something to cheer about. She fired two forehand winners to make it 30-30 but lost the next two points. Marino, who reached a personal best of No. 38 in the WTA rankings before taking her five-year break, came from behind to beat Vera Lapko of Belarus 3-6, 6-3, 6-3, on Saturday.